This Prairie Mission Console Table is a small sofa table that measures 14" in depth by 28" in length and 29" in height. Choose to have this handcrafted in Red Oak Wood, Cherry Wood, Hard Maple Wood, Brown Maple Wood, Quarter Sawn White Oak Wood, Ash Wood or Rustic Cherry Wood. We offer a wide variety of stain and paint options to complete the look for this Mission Console Table. 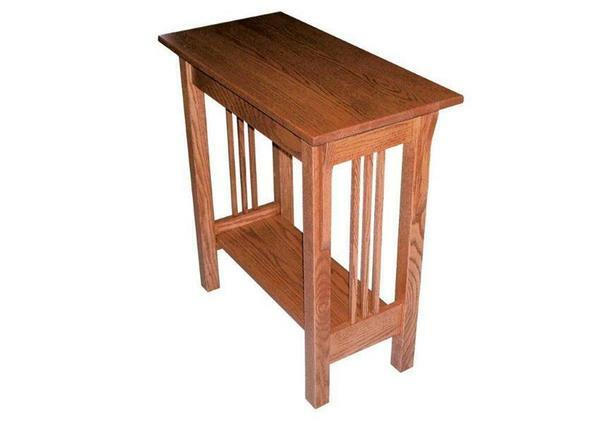 If you are looking for a larger sofa table then consider our Amish Prairie Mission Sofa Table with Shelf or our Amish Prairie Mission Sofa Table with two shelves.